We met Chris at the backyard expo show in 2017 to discuss our project. He met with us a few times early in 2017 to scope out our entire project and listen to our ideas. He also provided some of his own expertise to try and steer us in the right direction in terms of design, which we appreciated. Our project was originally slated to begin in April 2017; however, due to the rainy weather, the work was postponed until November 2017 and completed in early spring 2018. Throughout the time his team was working on our project (amazing crew! ), Chris was very attentive to our questions and knew what to do when we ran into design issues or problems or if any items were missed or broken. One of our minor complaints throughout the process was lack of communication. Throughout the months where we were waiting for the work to begin. It was very hard to get a hold of Chris and I would suggest he hire an office assistant or a dedicated person to handle his many requests from clients. It would relieve some of the frustrations we felt along the way. 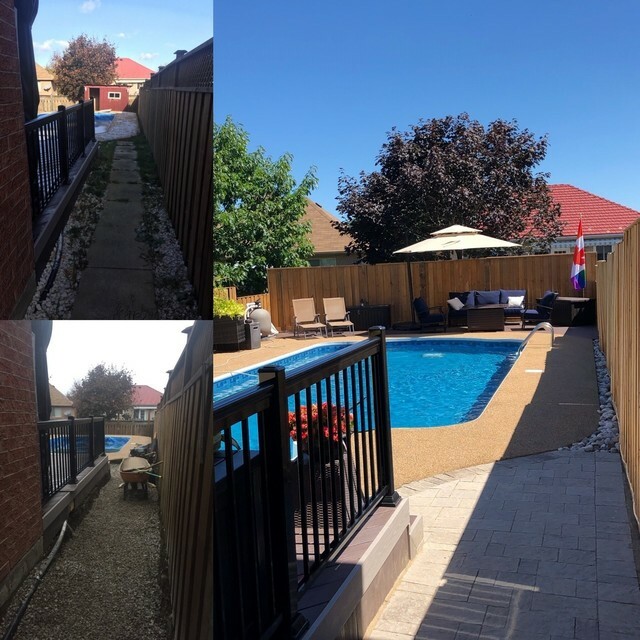 All in all, we were very satisfied with the end product and got to enjoy our new landscaping and remodel throughout the summer of 2018. 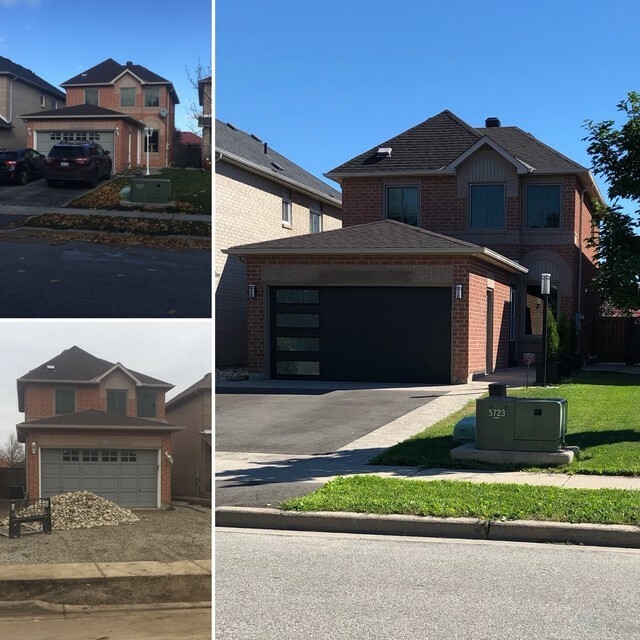 The project was quite extensive and included: new driveway, new pathways and stone walkways, new garage door/side door and storm door, fence refacing, deck build, new light fixtures, new accent lighting and many more items. The completed work is very impressive and Chris always made sure to make us happy with the end product. Thank you for your review Nick! We appreciate the time you took to explain your project and the process along the way. We apologize for the frustration felt in reaching Chris at times. We truly value your feedback. Chris and his crew did a fantastic job on our Custom Garage Build. His team is friendly and easy to work with. Chris responded within minutes to my calls and text messages. His customer service is one I have never experienced before. Would highly recommend his company for any work due to his communication and being true to his word. Thank you very much for the review. It was a exciting project and we love the outcome! 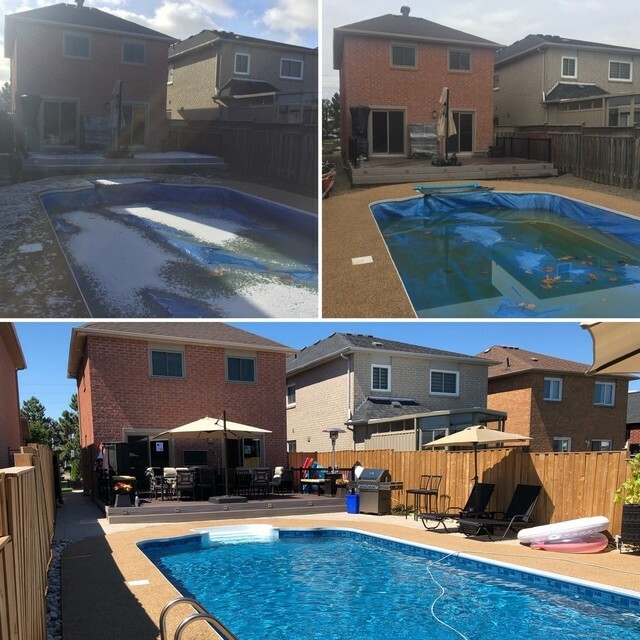 Chris and his team at one landscape.ca are very professional. 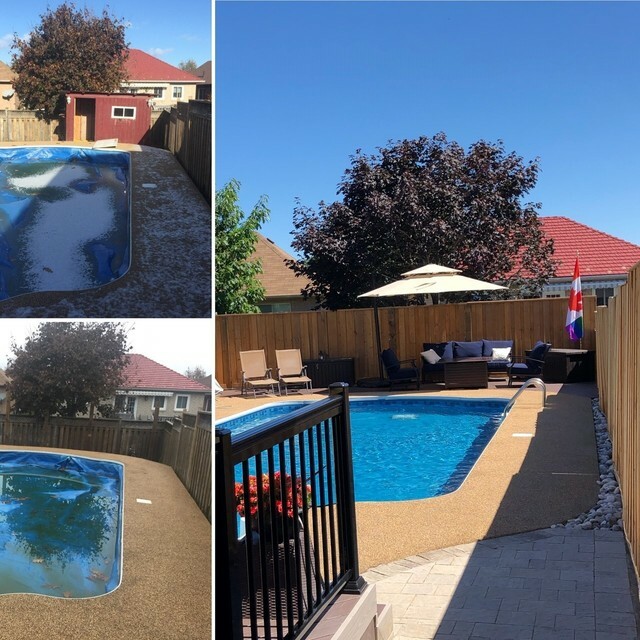 They recently installed our pool and deck and made our back yard look absolutely beautiful. Thanks again Chris and his team for the awesome job. Thank you - enjoy plenty of quality family time. Company; it helps us and others understand our teams dedication to quality and experience. 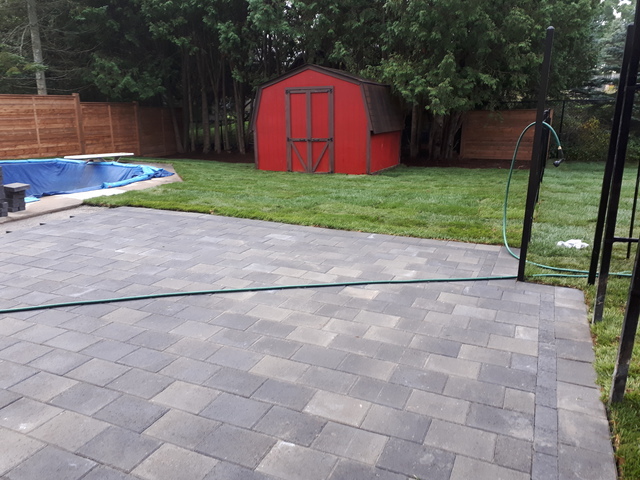 I was very pleased with how my interlocking walkway from my deck to my gate turned out and how efficient Chris and his crew were to get it done in half a day. Great price and would highly recommend!! Thank you for choosing our company. We have forged a relationship with yourself and your neighbourhood through 2108 projects. We look forward to the friendly neighbourhood waves in the spring. Chris and his crew transformed our backyard in basically 2 days. The deck constructed by Austin and Jeremy went quickly and efficiently. My biggest concern was in how ineffectively I was able to communicate with Chris himself. There were problems with the glass panels, which were replaced on several occasions, but never to our final satisfaction. Unfortunately once I had paid in full for the job to the carpenter and not to Chris himself, he never came by to talk about our issues or see the problem for himself. I have unanswered emails from him to this date and he immediately passed us off to the manufacture and appears to have washed his hands of the issue entirely. Our original plan was always to have a 2 part job, first the back yard, then the front and side yards. Sadly trust has gone and we will no longer be dealing with One Landscape. 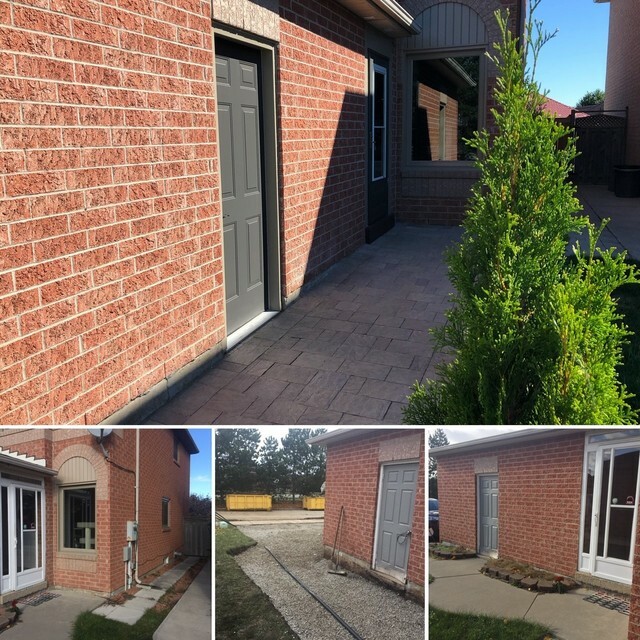 We understand your frustrations and have done our very best to satisfy you in regards to the single glass panel on the deck that is "not satisfactory"
Demolition, rear patios, dry river stone beds, armorstone, steps and fully reconstructed deck using premium grade composites and century aluminum railing with tempered glass insert panels. However one of the installed glass panels was visibly flawed. We contacted the supplier and re installed this glass panel with your inspection on (4) separate occasions. Collected the final draw; after your inspection of this newly installed replacement glass panel. It later came to light that you could not see the "flaw" on the cloudy day; but only on a sunny day. This is when we began involving our supplier and escalated it to national century railing representative for an on-site product meeting- as we don't produce the glass panels. We rely heavily on our quality suppliers and manufacturers for support services in regards to products. Once the representative determined that the "flaw" was within Canadian tempered glass product specifications of manufacturing; he explained in detail what this issue was and provided detailed manufactures letter depicting specifications of such railing glass Canada wide for all manufacturing; he as well provided a gift certificate, and some additional products for the confusion. We have emailed as well to your personal email offering to have another glass panel produced by secondary manufacture to attempt to rectify this problem. We do not want to lose a valued customer over a $44.00 panel of glass. Please contact us and we will gladly assist in furthering the remedy of this panel. I met Chris at a Garden Show in the Spring of 2018 and saw the quality work of his gazebo display model. After talking with Chris about my project, I realized I had the right person. The crew took almost a week to do the construction of my pergola, and the landscape. His crew were very hard working and professional. What also was amazing is that there were no debris left on the driveway or road side, all was cleared away immediately. I will certainly have Chris do more projects I plan to do and will highly recommend he & his company to my family. Thank you for your review and feedback. My family and I thank you for your kindness and generosity, we received your thoughtful Christmas gift (Purolator currier to our porch Christmas Eve). We appreciate your business and friendship. Best wishes to you and your family in 2019. Our deck and railing were old but the framing was still solid. Chris was the only contractor to suggest that we just do the deck and the railing. It quickly became apparent that some of the frame needed some work. The additional charge was reasonable and resulted in a much stronger structure. The gate that was installed under our deck looks terrific and means we have more storage space. The deck is now transformed. Chris has a very professional team who showed up and worked through rain and snow to get the job done. They cleaned up the property and answered all of our questions. We are very pleased with the results. I would recommend them to anyone. Chris and his team provided exceptional service, craftsmanship and quality every step of the way. All questions or concerns were handled professionally to ensure I got exactly what I wanted. All around excellent experience and very happy with my new backyard space. Thank you! Thank you again for your repeat business and support. We thank you for treating our team like family while onsite workings. Snacks and waters are always welcome! jungle! Highly recommended and worth the wait! Thank you for the kind review Doris! You where an absolute pleasure to work with! Enjoy your new surrounds! Fantastic, Qualtiy Install. Highly Recommended!!! We had rough ideas of what we wanted and Chris combined those ideas with his expertise to build a fantastic backyard. Chris and his crew were fast, efficient and most of all did a high quality job. I would definitely recomend that you get Chris to quote your project!! Thank you for your business and review, we greatly appreciate it. Enjoy your new backyard, pleasure to work with. One Landscape Design & Build has not added any photos. 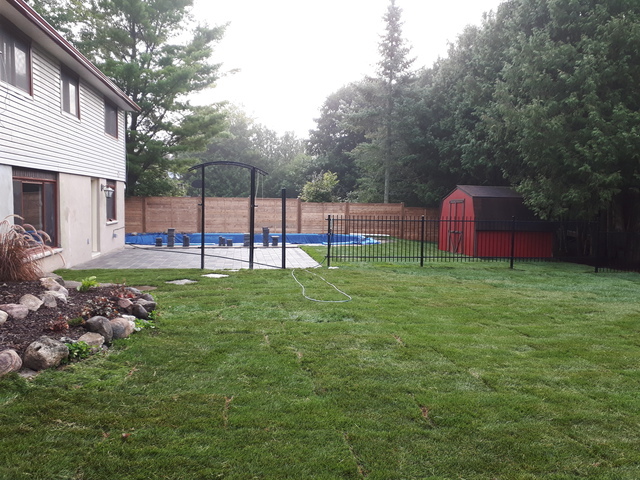 One Landscape Design & Build is a design and build landscaping company that has operated in Peterborough, Kawartha's & Durham Region since 1999, and now, in addition we also operate in the GTA Region and beautiful Muskoka Highlands. Our staff allows us to offer full landscaping services such as consultation, design and build using interlocking stone, paving, natural stone retaining walls, natural stone accents, manufactured retaining walls (Oaks, Unilock and Hansen), flagstone (random or square cut) concrete walkways, patios, decks, steps, pool decks, pool construction, water features of all shapes and sizes. We also have an in-shop carpentry crew to ensure seamless completion of all fence, deck, and wood structures. In addition, we also provide excavation, grading and sod services upon request. At One Landscape, we are we dedicated to making your landscape vision a reality. We will walk you through your entire project from start to finish beginning with design consultation and exchange of ideas and visions for your project. We then will put together a free no-obligation quote to meet your landscape needs and budget. We are helping to beautify our regions by offering both residential, commercial, and industrial landscaping services to provide excellent quality, eye pleasing and remarkable landscapes at a fair price. At One Landscape we pride ourselves on our array of professional services, spectacular design and skilled staff to complete all our projects. It is through our valued customers that we are able to define our success in the past and goals for the future.